Our knowledge of how Maya civilization was organized and functioned and its impact on people’s lives is limited to what we can interpret from artifacts and other archaeological evidence and from what few Maya codices remain. How did the Maya live and how do we know? 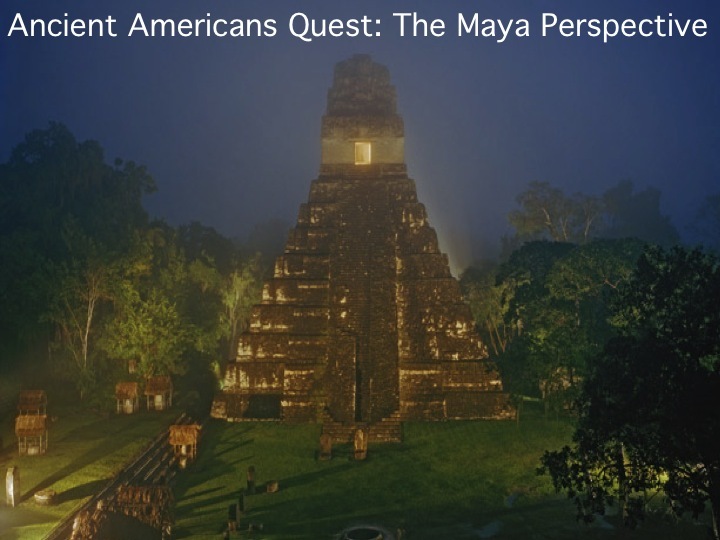 •Map the political and geographic features of the Mayan civilization. •Describe the structure of Mayan society, the roles and functions of each class . •Consider the perspectives of the people in the various social classes and how their role might have affected their lives. Recognize the sources and lack of sources of information about Maya life. From whose perspective do we get our information? Each group will be given one artifact to research in order to determine more about how the people in their social class lived. H.8.4 Understand how and why events may be interpreted differently depending upon the perspectives of participants, witnesses, reporters, and historians.